There are few things I love more than eggs & shrimp! When you combine the two it makes for a decadent breakfast that is sure to impress anyone you’re cooking it for. The eggs are to die for–they are soft, fluffy and literally melt in your mouth. 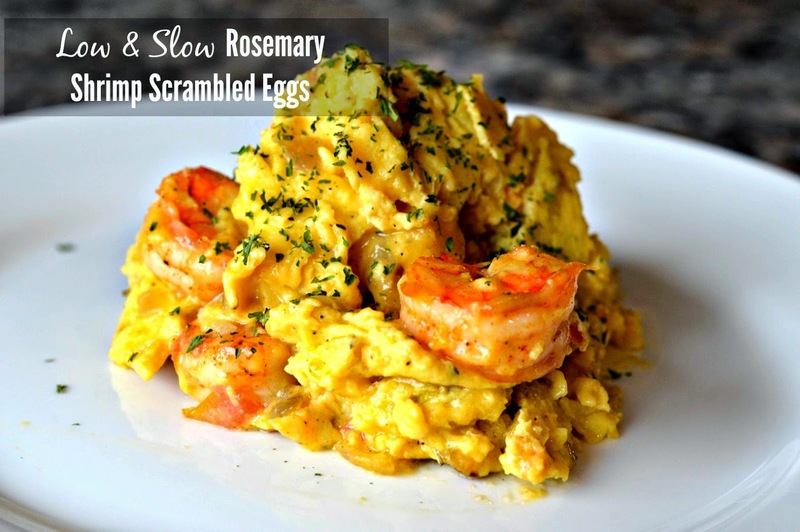 The rosemary brings out the awesome flavor of the shrimp and gives it that extra kick! Ok, enough talking. Let’s get to it. Wisk eggs in bowl (or use a magic bullet like I did because it’s easier) and add cream, salt and pepper. 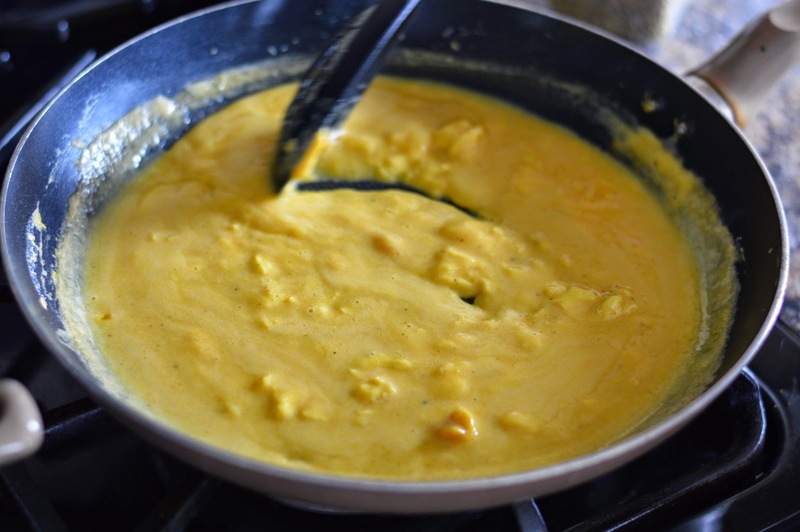 Add butter to non stick skillet and let butter begin to foam, once melted, add egg mixture to pan and ensure heat is on low. 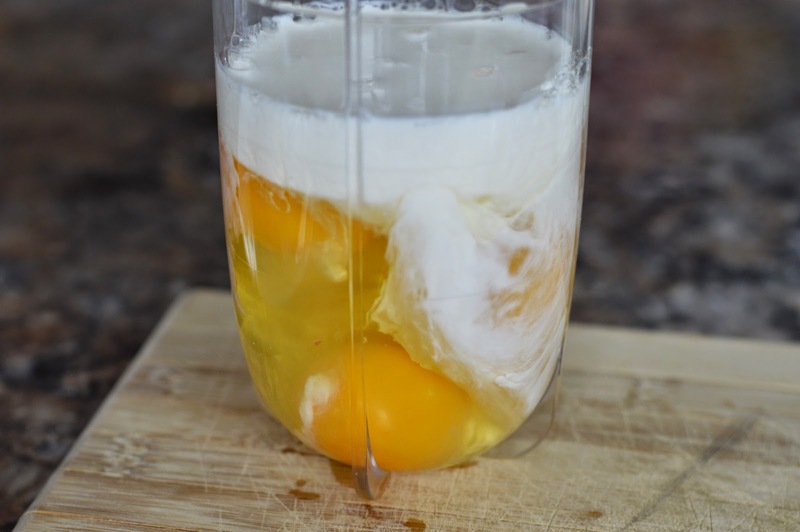 Continuously stir eggs for about 20 minutes until formed. In a small bowl wash and divine shrimp. Rinse thoroughly and pat dry with paper towel. Then add salt, pepper and paprika to taste (I use about 1/2 a teaspoon each). Let shrimp sit while you heat olive oil in small skillet. Add onion and shallots to pan and cook untl translucent. Add shrimp and cook about 2 mintutes per side. Top with garlic, tomatoes, rosemary and butter. Turn heat to low and let simmer for an additional 2 minutes. Once shrimp is complete add to formed eggs and incorporate. 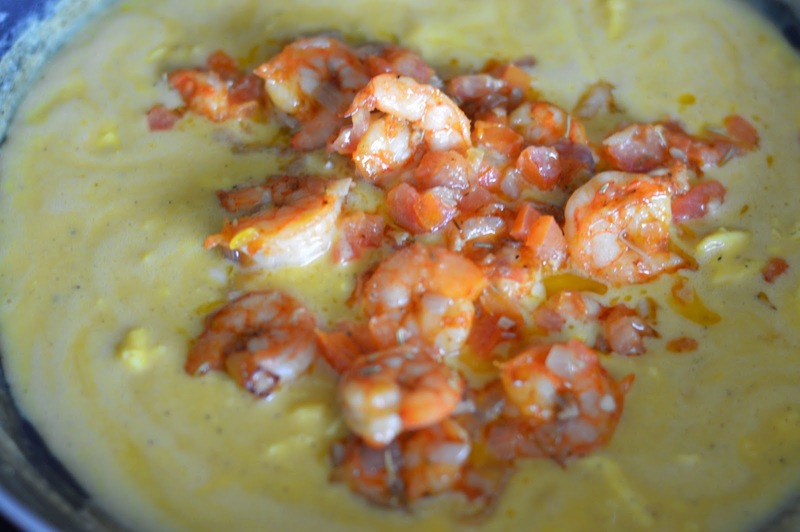 Spoon the butter mixture from the skillet with the shrimp over the eggs. Garnish with dry parsley and serve!